See-through pocket holds up to 20 sheets. 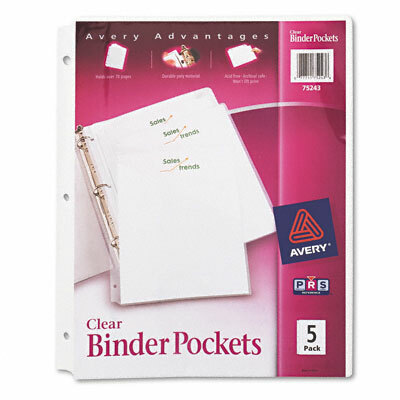 Fits standard three-ring binders. Diagonal cut front flap for easy access to contents. Durable, nonstick polyproplylene won't lift print. Recycled Comments Steel: 25% Post-Consumer Recycled Content; Laminate: 40% Recycled Content.